Debra Samuels, cookbook author, food and travel writer and cooking teacher, has been working with children and families for over twenty-five years. Since 2000 she has been a regular contributor to The Boston Globe. She is co-author with Taekyung Chung of The Korean Table (Tuttle Publishing, 2008). Her new cookbook My Japanese Table: A Lifetime of Cooking with Friends and Family, was published by Tuttle in Fall 2011. Whether teaching groups of Japanese about American cuisine, Americans how to roll sushi, kids how to make a pie crust or public school teachers how to put together a Japanese obento lunch, teaching has been an integral part of Debra’s professional life. In 2003, Debra helped produce a nutrition education and cooking guide for teens– The Power of Eating Right– for Cooking Matters, part of Share Our Strength, a national organization focused on ending hunger in the United States where she continues as a volunteer chef. From 1992-1999, after six years at the helm of a successful catering business, “Eats Meets West,” Debra worked at Boston Children’s Museum where she developed the popular and long-running “Kids Are Cooking” program on food, culture and nutrition. 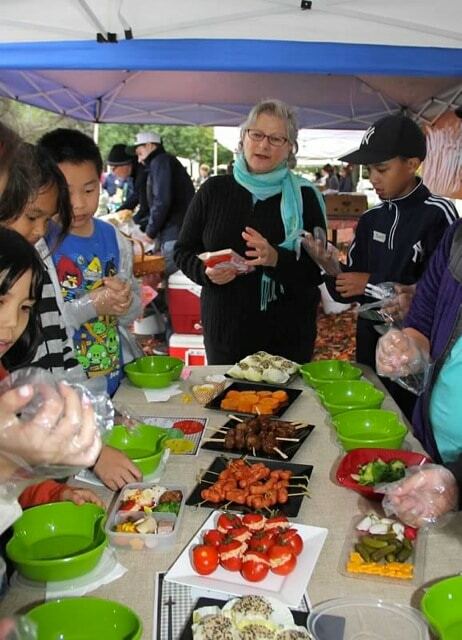 Debra explains: “Food is an international language, a bridge across cultures. My objective is to educate, entertain and encourage people of all ages to be creative and to care about its preparation and presentation.